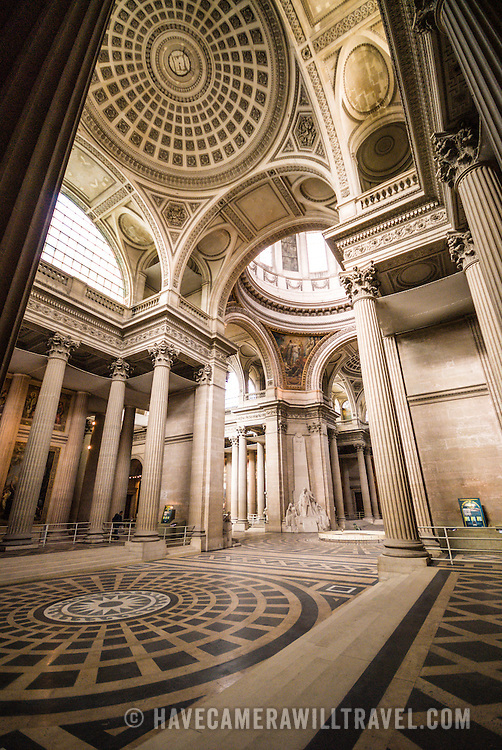 Interior shot of the main hall of the Pantheon in the Latin Quarter in Paris. Originally built as a cathedral, it is now a mausoleum for French notables. With its distinctive domed roof on top of a hill, it's one of the major landmarks of Paris.